Combine all ingredients in a medium bowl and refrigerate for at least one hour before serving to allow flavors to meld together. 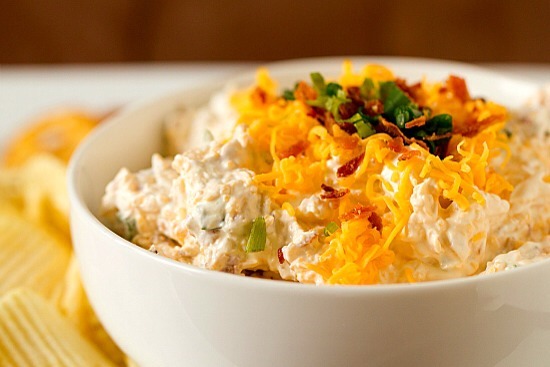 Garnish with extra shredded cheese, crumbled bacon, and chopped chives. 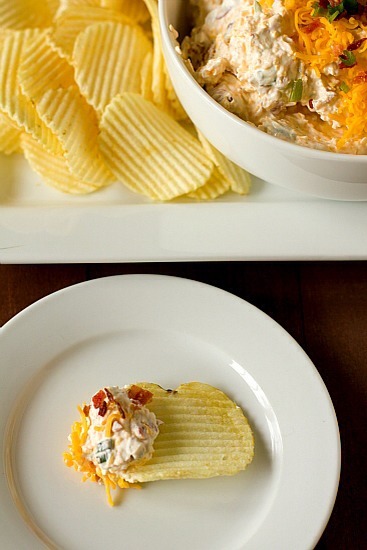 Serve with your favorite potato chips or pretzel crisps. 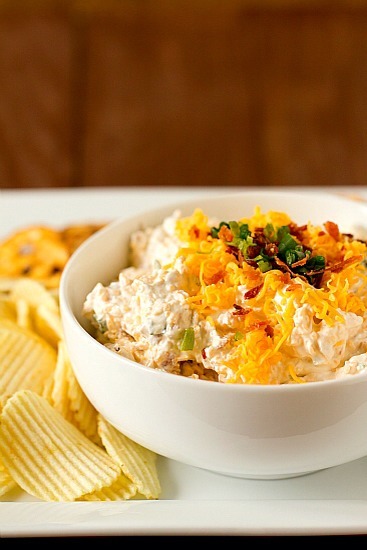 Dip can be stored in an airtight container in the refrigerator for up to 1 week.